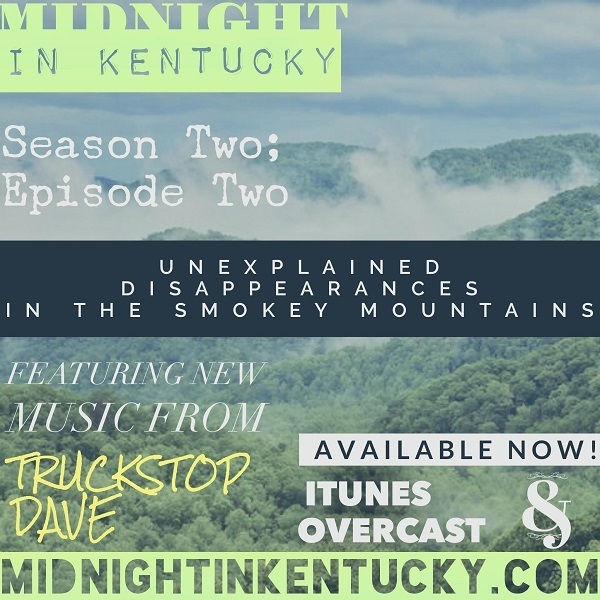 Midnight in Kentucky – How many coincidences are too many? Episode two of Hellier takes us to the infamous hills of eastern Kentucky on the hunt of goblins with the Alien Cave Base Task Force. To me, the buildup to the team arriving in Hellier echoed another series whose narrative is steeped heavily in occulture and ultraterrestrials. Twin Peaks fans are familiar with all of the story lines and synchronicities that had to slowly converge in the series’ third season to culminate in the heroes returning to the titular north western town. Though Hellier’s narrative brought us to it’s own title’s namesake at a much quicker pace, the synchronicities and subtle calling of high strangeness that slowly led both Dale Cooper back to Twin Peaks after twenty five years, and Greg Newkirk to Hellier, Kentucky, five years after the case began, bear striking similarities to each other. The oddities that spring forth from these synchronicities and strange occurrences for Greg, Dana, and the gang, are Lynchian to the max. This lack of strangeness seems to be the calm before the storm, however. No one in town knows of David Christie, the supposed doctor who sent Greg the original e-mails. On the hunt for Christie, though, the team are told of more odd goings on within the hills of Hellier, such as sounds of a baby crying within the caves at night. This leads Dana to theorize that what they may be dealing with in Hellier is some kind of elemental entity or entities. Puckwudgies were what originally sprang to my mind when Dana made mention of this. (For more information on these creatures follow the link below.) Regardless, though the case takes a more treacherous turn in episode two, as Ink and Black steeps us further into the strangeness happening within Hellier and like it’s thematic, fictional brethren, Twin Peaks, manages to raise more questions on just what it is behind the odd occurrences. In Hellier, energies are building and something is about to break. Episode Description: It’s the midnight hour, once again! Tonight we’re sitting down to discuss the recent Week in Weird docuseries, Hellier. 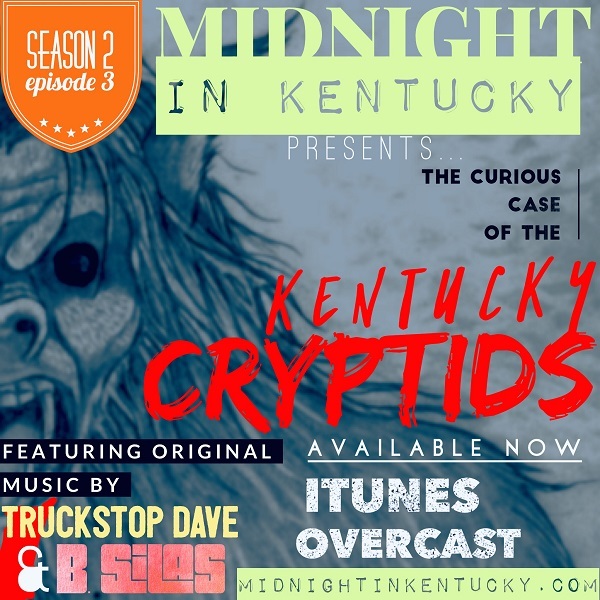 This series is five episodes of eastern Kentucky high strangeness centered around those elusive Bluegrass entities, the Kentucky goblins. In addition to discussing our ideas, theories, and opinions of the adventures of the Alien Cave Base Task Force, we contribute our own thought provoking research to this strange ongoing case right in the edge of Appalachian Plateaus. 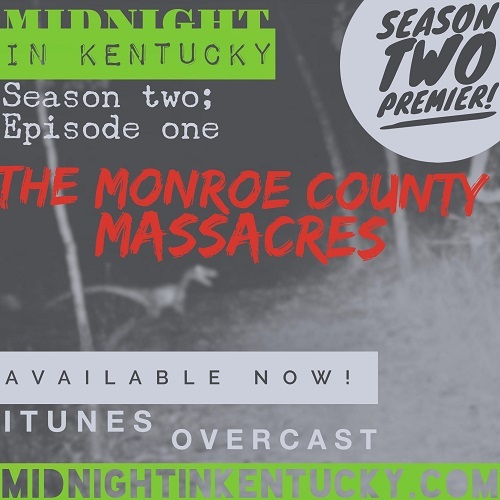 In the introduction, we continue our discussion of the odd mystery booms heard in Kentucky and elsewhere as of late, with the most recent notable happening in Jackson County at the end of January. Time to take to the shadows, Nightowls! 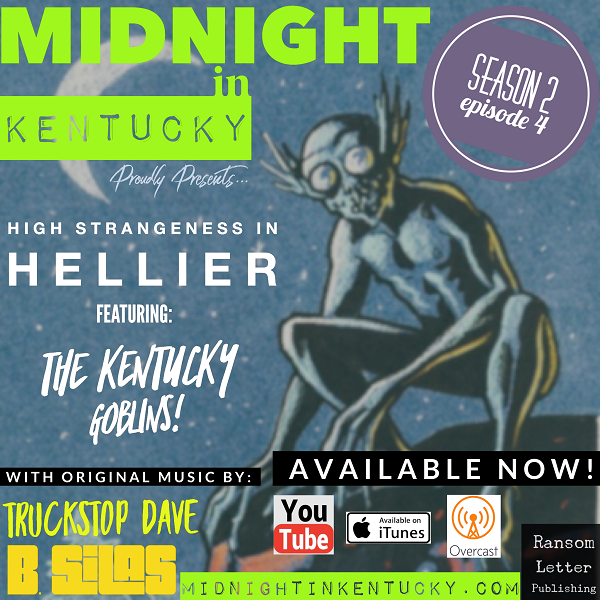 The goblins are amongst us and ethereal voices are speaking through your podcatcher on tonight’s episode of Midnight in Kentucky; High Strangeness in Hellier, Featuring The Kentucky Goblins.